It is official. Do you know they can make marmalade without fruit? They can. I know, because I had some on my toast in hospital. It came in a little packet with no name on the back apart from This product was packed for distribution in New Zealand by blah blah blah. I'd say it was water, gelatin, sugar and some synthetic flavouring. I wondered if the company also supplied the prisons or did they get something better. However despite the food, the service was wonderful. I couldn't have had better treatment. Such lovely nurses and they all did their best to make my stay as painless as possible. So I'm home directing cooking operations from the couch and so missing being in the kitchen. Peabody will have Hay Hay Its Donna Day up around 3rd March. Visit her for the details and join us. Thank you to everyone that took the time to send their thoughts and good wishes to me this past couple of weeks. It really helps to know people care. As from Sunday I'll be away from my computer for about a week. Just when we were making plans to move to Queensland, where it is so much warmer than Auckland, something came up. We are still moving, but only 800 metres down the street, closer to the beach, bars and movie theatre. A couple of weeks ago my 6 monthly CT Scan showed a return of cancer with a couple of spots on my lungs. I will be having surgery to remove them and this will be done in two operations spread 6 weeks apart. The first surgery is on Monday at midday and for a short while my mind will be on other things and not baking or blogging. We decided now would be a good time to downsize. Our move is from our 5 bedroom home with my dream kitchen to a three bedroom townhouse which has a reasonable kitchen but much smaller than I'm used to. It will be interesting to see how my cooking changes as I adjust to my surroundings. At this point we are half way through the move and will be in our new home by Friday evening. This week we've enjoyed a few deli meals for lunch as there hasn't been time for cooking. 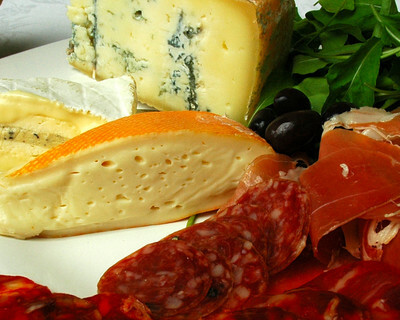 The cheeses in the picture are Onetik Blue Des Basques Brebis, French Rouzaire Truffle Brie and French Chaumas. The meats are Spanish Serrano Jamon and Iberian salami. The next Hay Hay It's Donna Day will be hosted by Peabody. Keep an eye on her Culinary Concoctions for the challenge. I'm hoping to be sufficiently recovered to compete. By just two votes Peabody at Culinary Concoctions was the winner of Hay Hay Its Donna Day - #9 the Soufflé challenge. Peabody plans to have the next challenge up by 3rd March and you will have two weeks to accept her challenge and have your entries in by 17th March. Congratulations Peabody. Thanks Tami for hosting HHDD#9. Great job. To all participants - thank you and please join in HHDD#10. Peabody has a great idea and I'm sure you'll all want to play. Here's a few pictures of our weekend staying with our friend Jacqui who has a very stylish and welcoming holiday house on the estuary of Mahurangi . 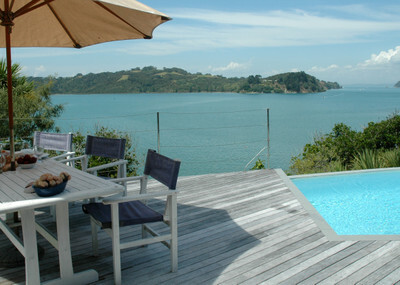 We arranged to meet up at the Matakana Markets Saturday morning, buy a few supplies, breakfast at Matakana Patisserie, check out the Craft Market and the Equestrian Centre and then lunch, swim and relax on the deck with a good book. 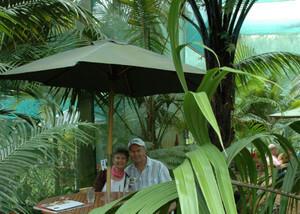 The new cinema complex at Matakana Village has several eating places. Downstairs a rather smart bar with a lots of concrete and copper. Upstairs the Matakana Wine Centre,also known as The Vintry. 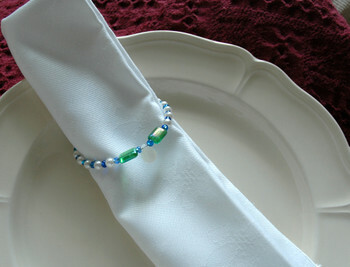 They do wine and food pairing tastings and are also licensed to sell wine by the bottle or case . The Equestrian Centre teaches horse riding or you could just enjoy a glass of wine and watch the horse riders. You could have lessons here and then go horse riding on this nearby beach. And how about this? Matakana has a real butcher........and Elvis the cow. Sunday dawned overcast so we set off for a tiki tour around the area looking at some of the many holiday homes around Omaha and Snell's Beach. We stopped for lunch at Mariposa Palm Café. Clickon any picture to enlarge. We ate these a few days before Valentine's Day but they would be perfect for a romantic Valentine supper with that special person in your life. This recipe will make enough for at least 6, possibly even eight so invite a few friends in to share...or cut back the recipe. Beat together cream cheese, sour cream, icing sugar, vanilla, lemon juice and salt untilsmooth. Push mixture through a fine sieve into a bowl to remove any tiny lumps. 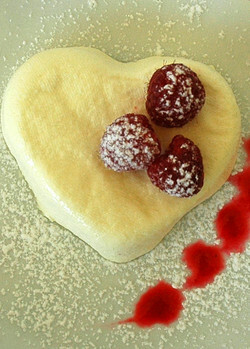 Line a heart shaped mould with a single layer of dampened cheesecloth . Fill moulds with mixture to top and level. Fold cheesecloth over tops and press down lightly. Place in a shallow pan to catch drips and refrigerate overnight (or at least 4 hours). Mash half of the raspberries with sugar. Stir in the remaining whole berries and lemon juice. Push through a sieve to remove seeds. Unmold coeurs onto serving plate and carefully remove cheesecloth. Let coeurs sit at room temperature 20 minutes before serving. Spoon raspberry sauce around. Decorate with remaining raspberries and a sprinkle of icing sugar. UPDATE: Now Bron has kindly pointed out there are Valentines Day events happening I have decided to enter this in Meeta's Monthly Mingle. WineCast is the host of Wine Blogging Wednesday #30 and has chosen the theme New World Syrah/Shiraz. It's been awhile since I participated in this event begun by Lenndevours . Shiraz has been a favourite of mine for years so there are always a few bottles rolling around in the cellar cupboard. 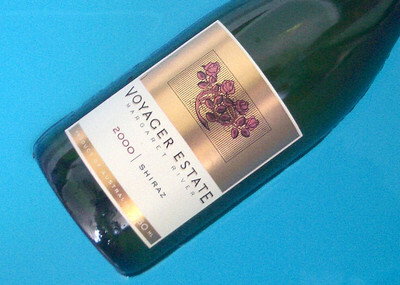 I picked up this Voyager Estate Shiraz on a visit to Margaret River a few years ago. I think we chose the perfect time to drink it. It was how I like my Shiraz. Plummy, spicey and soft tannins. Worth buying ? Yes. For a more detailed write up from the experts read this page. 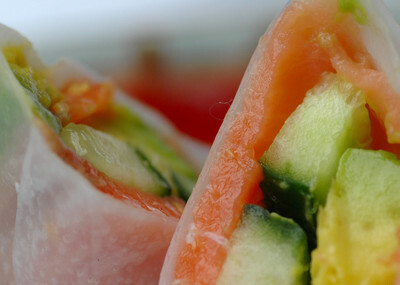 I'm sure I don't need to tell you how to make a rice paper wrap. It's easy - just soften the wrap in warm water and stuff with your favourite filling. I've used smoked salmon, Lebanese cucumber and avocado. Who the heck is Elsie B you ask. Think LCB. That's right Le Cordon Blue is coming to New Zealand. 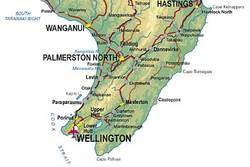 The actual town chosen to host the school has not been named yet but it is to be in the Wairarapa region at the bottom of the North Island of New Zealand. It is likely to be either Martinborough or Masterton and if all goes according to plan will be accepting students for 2008. There are 26 international Cordon Bleu schools and all are in cities. This will be first Le Cordon Bleu in a rural setting and is being established in conjunction with the Masterton campus UCOL . Quickly, rush on over to Tami's and read the round up of the soufflé edition of Hay Hay It's Donna Day. Voting is open to all. I tell you it won't be easy, the entries are very tempting. You have until 10th February to vote for your favourite. P.S. Check out this competition at the Donna Hay magazine site. 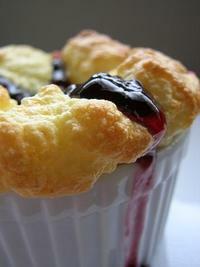 I've heaps of other bloggers recipes saved to My del.icio.us account. Finally I got around to making one. 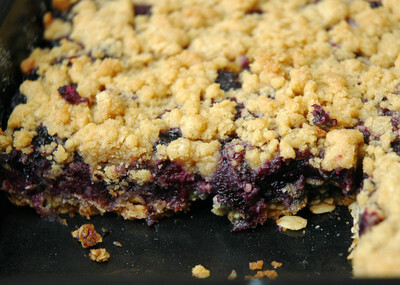 Here is my version of Blueberry Breakfast Bars as posted originally by Farmgirl . I'm not sure why they are called breakfast bars as I'll happily eat them at any time of the day. Maybe it's the rolled oats. Whatever the reason for the name they taste delicious....and maybe just a little bit healthy with those rolled oats and blueberries. They were relatively easy to make which is a plus.